The print head is pressed down by two toggles. 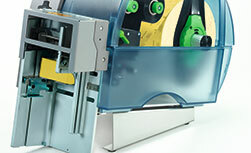 Due to centered material positioning there is no need to do print head adjustments and settings. 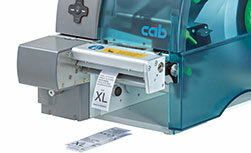 High printing accuracy as the material positioning is located directly behind the print roller. Width adjustment with a single knob. 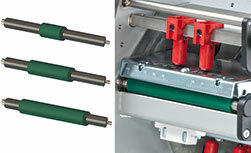 In case of the A4+T and XD4T the additional drive roller enables the material to be separated from the ribbon.